She was sentenced to a year in prison by a lower court. But after serving five months in jail she was freed when the appeals court cleared her of hampering an air route -- the most serious charge -- as the aircraft was still on the ground. Among the allegations, authorities are now investigating include smuggling of furniture and food, tax evasion, hiring of illegals and verbal abuse and assaults against employees. 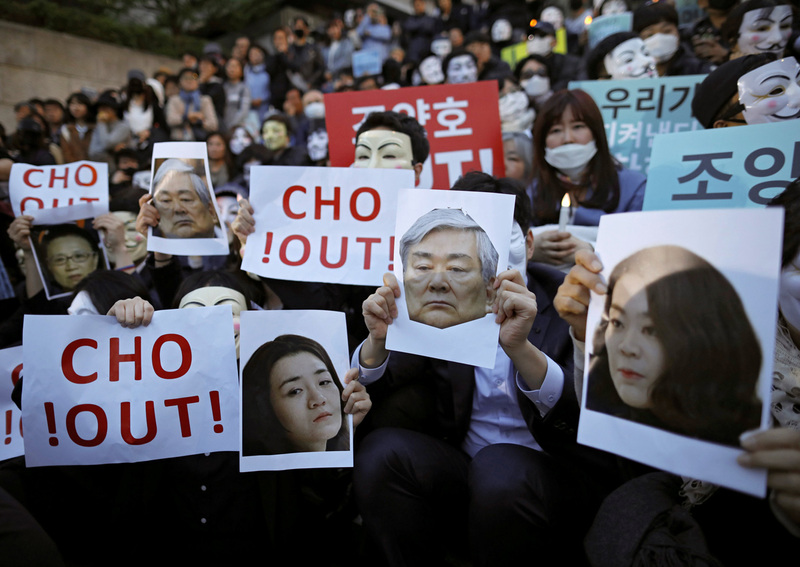 On Friday, some employees will hold their fourth weekly rally calling for Cho family to take a back seat in the company.